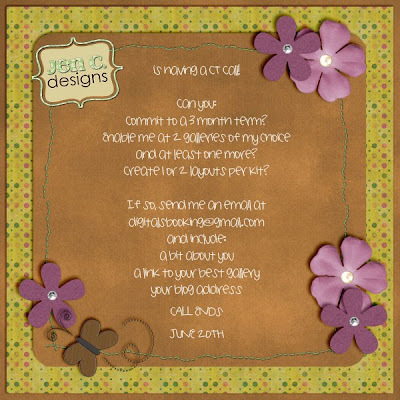 Jen C Designs is having a CT Call! - Commit to a 3 month term? - Enable me at 2 galleries of my choice and at least one more? - Create 1 or 2 layouts per kit?